YES. It is a word we want to hear but often do not. In the time Philadoptables has worked with the team at Pet Valu we have heard YES many many times over. This dedicated company is full of animal lovers and all they want to do is offer the best products at the best prices and help the animals in need. The store staff – all awesome – so knowledgeable and community oriented. The corp. folks are generous and kind. Pet Valu supports Philadoptables in many ways and in turn allows us to help thousands of hungry animals in need. This year once again, Pet Valu stepped up during our Camp Out for Hunger pet food drive with The Preston & Steve Show on 93.3 WMMR Philadelphia. 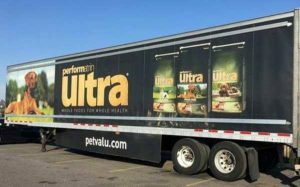 This year’s donation of 150,000 lbs of pet food and supplies is a record breaker and in a time where the need is also a record high, we say THANK YOU for your support, Pet Valu!